access to complete and detailed information about the business, anywhere in one click. Business intelligence system regularly collects data from all available sources in the organization and delivers the most important information correlated with the target to an authorized officer. 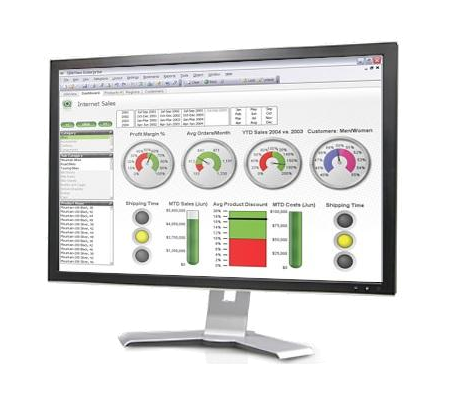 Simultaneously, the system allows to display the data of lower level - even the source documents. It is used to make real-time tracking of the status of the company and, if necessary, to respond to deviations from the norm or plan. Business intelligence systems can be compared with equipment for vehicle diagnostics: the car drives and everything seems to be fine, but testing of all systems can point out all the potential problems. Getting useful information from the source of the raw data is necessary for large businesses and corporations, as well as SMB-companies. Since the BI system is versatile, it can be used in various industries to address the widest range of applications. Where does the system receive data from? 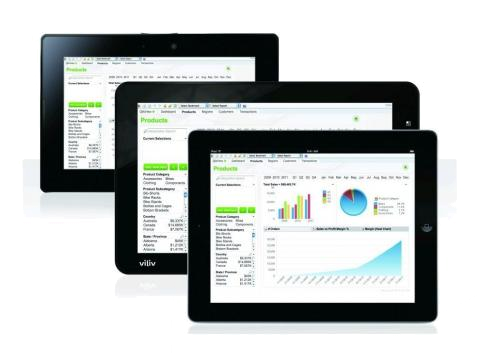 Business intelligence system is not a part of any solution, and not a substitute for any, already established system, but it can receive data from any source – from ERP, CRM and WMS-system of various vendors to Excel spreadsheets and written solutions. The BI system gets connected to each of the existing company's IT systems and downloads into itself all the necessary information. Full download occurs only once, and then only the changes taking place are downloaded which provides instant output of the analysis. Who can work with the business intelligence system? Owners and managers as well as analysts, who are responsible for making the most important decisions, can obtain analytical data using business intelligence system. Is it difficult to use the BI system? The system interface is friendly and intuitive, special IT knowledge is not required. Is it difficult to implement it? The implementation process of the BI system does not involve any changes in the workflow or in the IT infrastructure. The implementation of ready-made industry solutions takes place in the shortest possible time with little or no breaks of employees from work. What are the benefits of using Business Intelligence? This document contains advice for companies that have decided to implement a system of Business Intelligence, how to get the most out of their investment in business intelligence. The article lists the most "popular" mistakes that BI customers make and explains how to avoid them. The plan vs. actual analysis of the department of wood procurement, analysis of company's employees working time, analysis of the number of employees, the structure of the gross income. Consolidation of financial statements of companies, implementation of the elimination of intercompany sales, a flexible mechanism for comparing indicators, the calculation and visualization of key performance indicators. 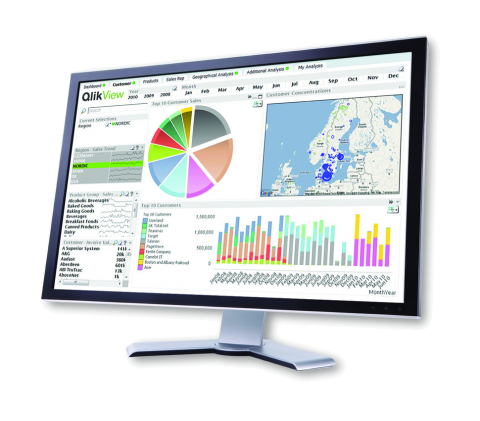 A detailed analysis of customer orders and payments to the company, analysis of the effectiveness of work time in the field; analysis of the effectiveness of compaigns held, implementation of the inventory dimension, the transfer of an existing Oracle BI analytics in QlikView; implementation of the BI system to detect anomalies, errors or suspicious situations.